Essential accessory for the shotmaxx2 timer. Protects the timer from scrapes and knocks. I agree with other reviewers that I consider this to be an essential accessory for the ShotMaxx-2. While I would have liked to see it bundled along with the timer, I could still see a need for optional, additional skins. One reviewer mentioned liking yellow. I prefer the black. Perhaps black could come standard, but you have the option to buy other colors. It seems like it does a great job protecting my timer. I haven't dropped it yet, but I don't baby it. It's in the main compartment of my range bag. I keep it stored in the storage bag as well, but it's a nice piece of mind. The buttons are still very easy to work and responsive. I'm very happy to have the cover. I use it in conjunction with the screen protector. The silicone skin gives me the peace of mind to just toss the timer in my range bag without worrying about it getting scratched up by magazines/holsters/punches or whatever junk I've got in there. I think it should come bundled with the timer - it's more or less essential. Easy to pop on over the watch for range use, offering protection when knocking into stages on shotgun or mini rifle shooting. Also the yellow cover is nice and bright, this helps me find the watch in my shooting box. I bought this Shotmaxx Silicone Skin as spare part for my SHOTMAXX, the quality is excellent and protect very well the SHOTMAXX. 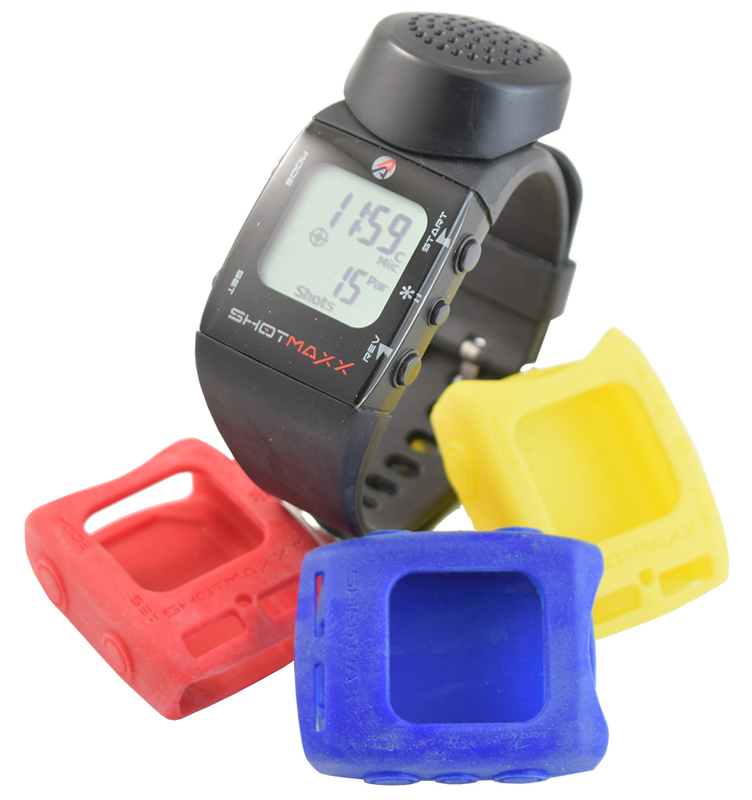 Protect and personalize your SHOTMAXX 2 timer with these custom made silicone skins. The skin fits snugly around the body of the watch, offering increased protection and dust and weather proofing. The buttons can easily be activated through the skin, and the display is fully visible. 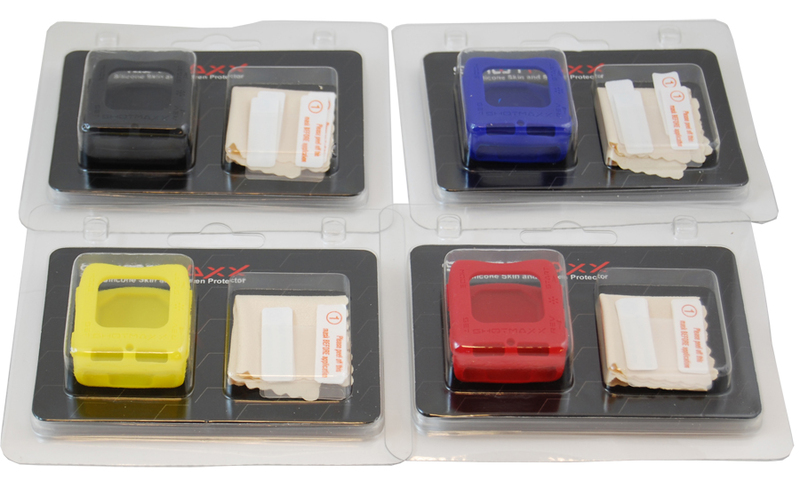 Personalize your SHOTMAXX 2 with a choice of four colors: Black, Blue, Red and Yellow.